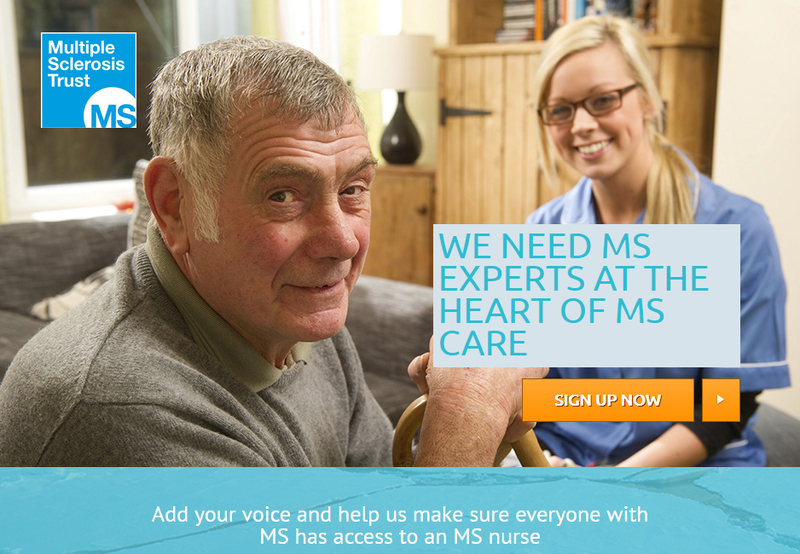 At the MS Trust, we believe that people living with MS deserve the best possible care. That’s why we’re launching a new campaign to make sure everyone affected by MS can get access to MS specialists (that is, specialist nurses, as well as physiotherapists, occupational therapists and other health professionals with expertise in MS). There are currently about 100,000 people living with MS in the UK, and around 100 are diagnosed every week. But we still don’t have enough MS specialists. The specialists we do have often have to manage unsustainable caseloads. Click here to read Amy Bowen, Director of Service Development at the MS Trust, explain exactly what the problem is and how we’re working with MS specialists to highlight the difference they make. Click here to find out how you can get involved this MS Awareness Week and make a real difference. But to launch our campaign, and to get a vivid insight into how people with MS benefit if they have specialists at the heart of their care, we went to Bletchley, Milton Keynes to meet Denise Middleton and Lesley Catterall, and some of the people affected by MS they work with. Denise and Lesley were the winners of our 2014 MS Super Team award. The MS community of Milton Keynes – people with MS, their friends, families and carers – nominated them and told us of the difference they make every day, from providing information and support, helping people access treatments and therapies and make practical changes that can make everyday life a little easier. This article is part of the March 2015 issue of Open Door.